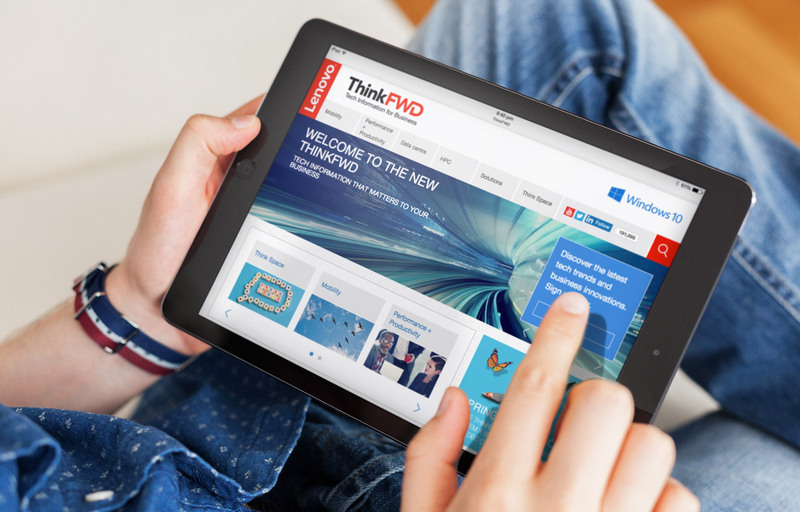 Four years ago we designed and built Lenovo’s ThinkFWD business content marketing website. It revolutionised the way they built relationships with SMB customers by providing meaningful content. However, four years later it needed to be refreshed and expand its content to appeal to enterprise customers as well. We decided the content had to be more precisely targeted to reflect the different IT challenges and topics SMBs and enterprises faced. 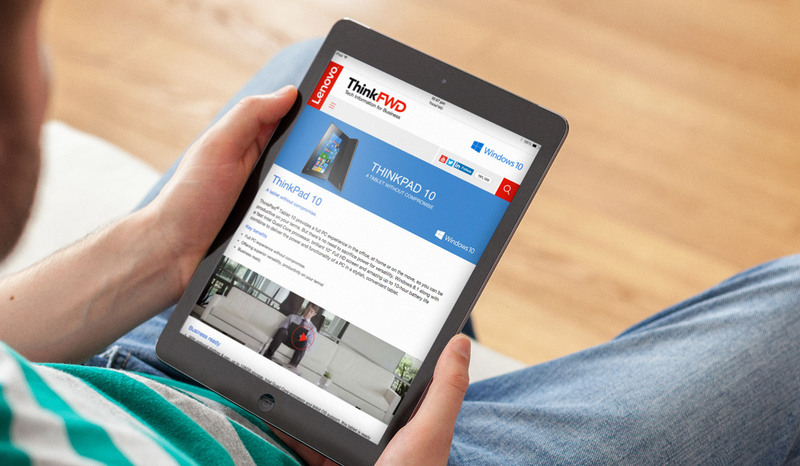 We wanted each visitor to the site to quickly gain access to relevant and timely content and enable Lenovo to identify where visitors were in the buying cycle. The new site also had to reflect changes in the way people accessed and absorbed online content. 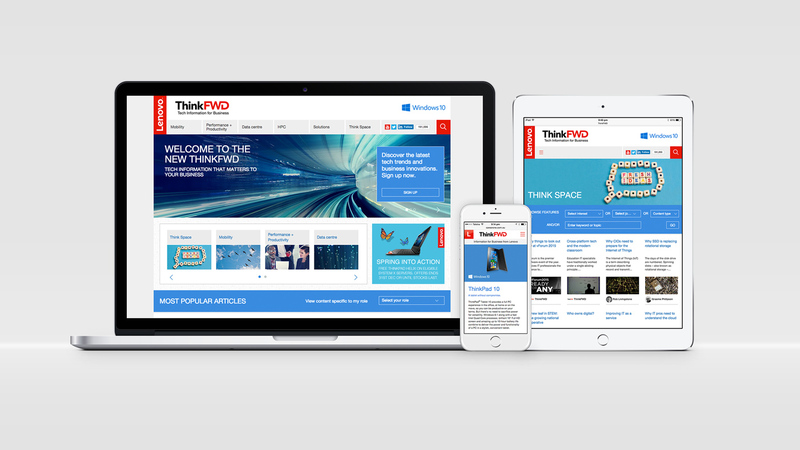 Our redesign of the website improved its accessibility and responsiveness. Content can now be viewed on mobile, tablet and desktop devices. We also worked on improving the navigation so that visitors to the site could quickly find the section they wanted – Mobility, Performance and Productivity, Data Centre and HPC. They also have the ability to filter according to their job role. Visitor behavior can now be tracked and relevant content and offers served to them. The ‘Where to buy’ section has also been reconfigured to make contacting Lenovo resellers easy. 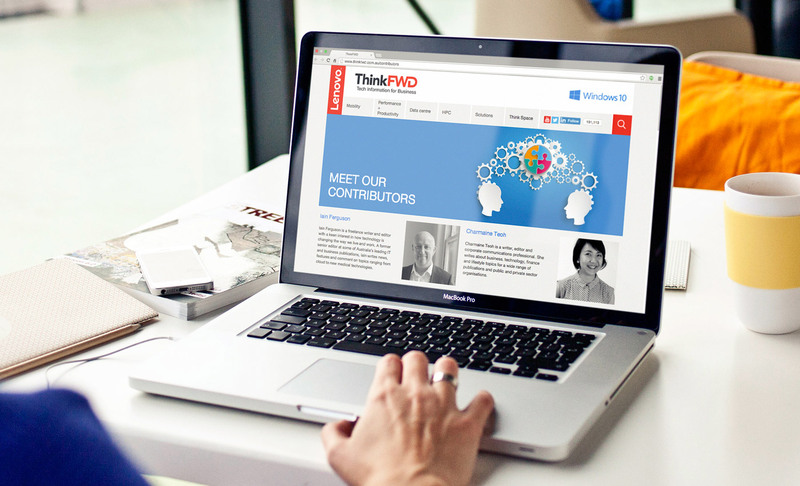 The new ThinkFWD website has become so successful that it is now a best-practice model for the entire Asia Pacific region.